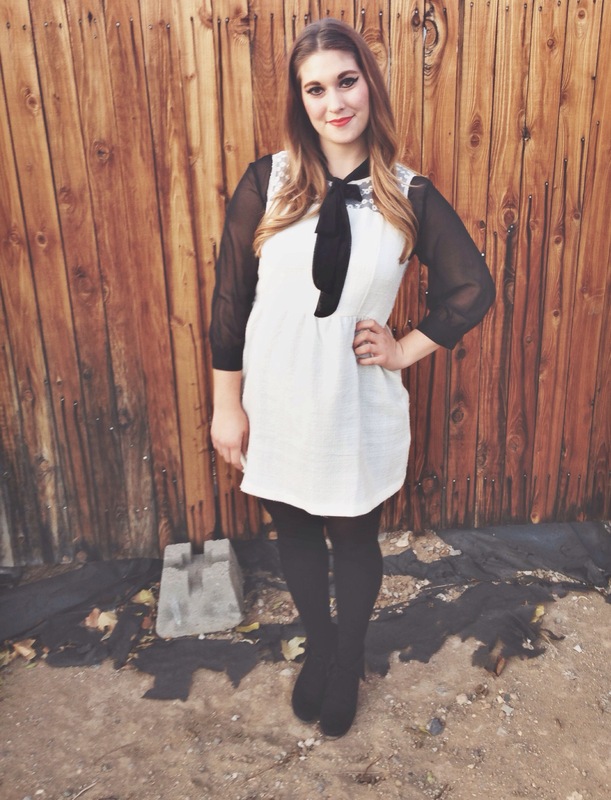 Let’s talk about thanksgiving holiday wear! It’s the day where we eat & be thankful & eat & relax & eat & be with family & eat pie & eat. You eat a lot on Thanksgiving, especially if you have more than one dinner to attend. Eating is nice & pretty much the best part of any holiday & basically everyday really. But being comfortable on a holiday is definitely number two in my book! Lookin cute is number three. So I’ve put together some Thanksgiving day looks that are simple, elegant, comfortable, & oh so stylish! This first look reminds me of a pilgrim, which is what I dressed up as last year! I love dressing whimsical on a holiday but still looking fashionable! 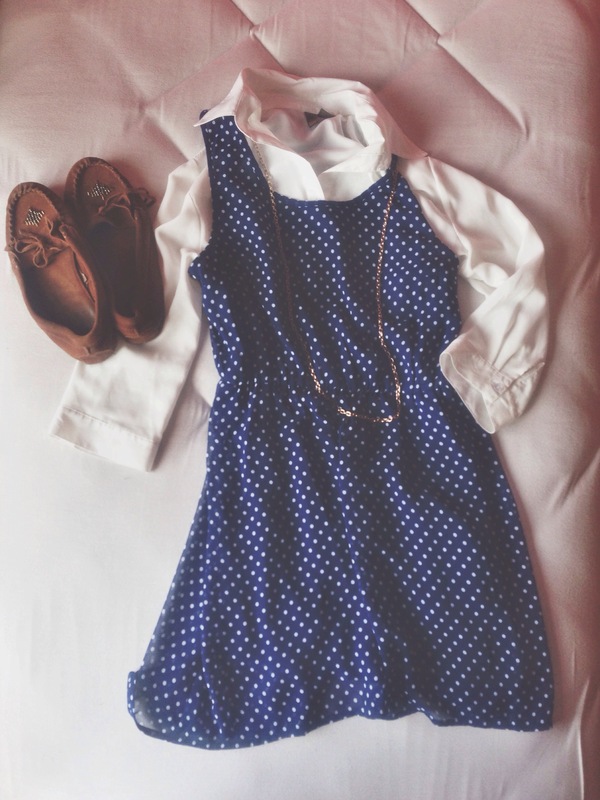 Put a blouse under a dress, pair it with some tights, mocs & gold jewelry & it’s perfect! So simple & I know you all have these pieces in your closet! Sweaters & leggings! What’s not to love about this look. They’re the two most comfiest things ever! 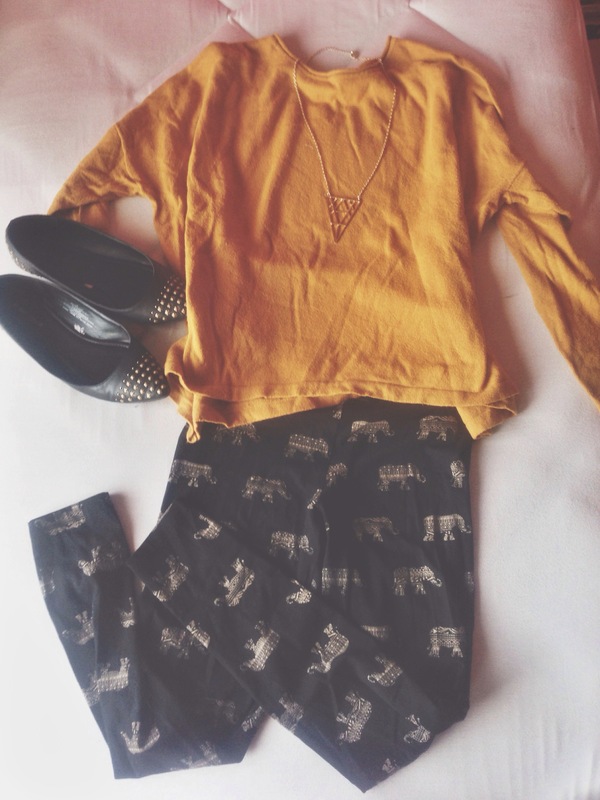 And this mustard yellow is the perfect color for fall! The flats & necklace just make this so perfect for watchin some football (I hate football)! I love these colors!!! 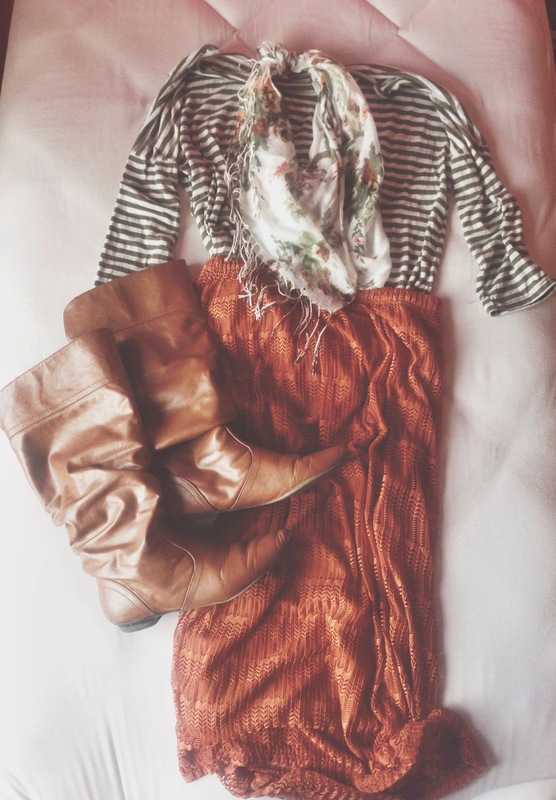 Plus the texture of the maxi skirt go so well with the stripes & white scarf. My fave thing about long skirts in fall is that you don’t have to wear tights to stay warm, just grab some knee high socks & boots & you’re golden! This look is the cutest for traveling from house to house. Let’s be real for a sec, girls love their jeans but I do not! I hardly wear them because I just can’t get over how plain I look in them. But I had to style a pair to help y’all think outside the box if you wanna wear them. Here’s an easy look that makes your jeans look fancy! Pair em with a graphic tee, an oversized cardigan sweater & some booties & you’re done. Boom! Totally makes your jeans holiday ready! Side note: I love these looks I just styled! Obvi, cause they’re my clothes & all! But I’m serious! I love them. I’ll probably be wearing them all within the next few days to come! Like when I go Black Friday shopping & to church! Here’s my look from last year! See, I totally looked like a cute little pilgrim girl! Ha so whimsical! Stay tuned to see my silly get up for this years turkey day. I can’t wait to share, I’ve had it picked out for like two weeks! I know, I’m crazy! But I wanna see your outfits too so post your outfit pic on Instagram & tag #turkeydaywithabbeykay so I can see!!! Hope this post can help inspire your Thanksgiving day look! Gobble, gobble!